I'm absolutely horrid at painting my nails. On a good day, only my left hand will be painted (I won't bother with my right at all. To touch it will be messing with the nails god.). But even then, within an hour or so, my nails will be scrated at all sorts of corners. 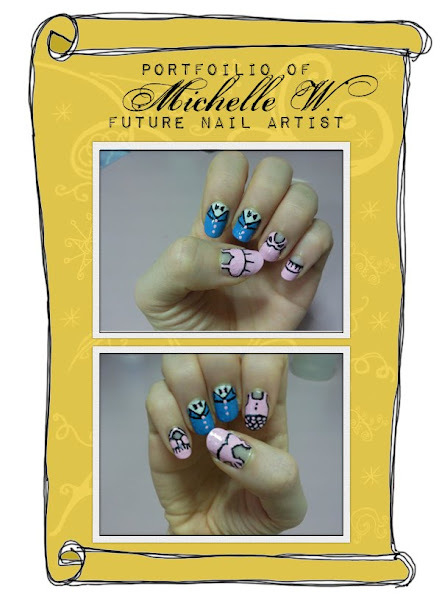 Anyway, here are Michelle's nails! And here are mine! Scratches, bubbles... In all of their glory!